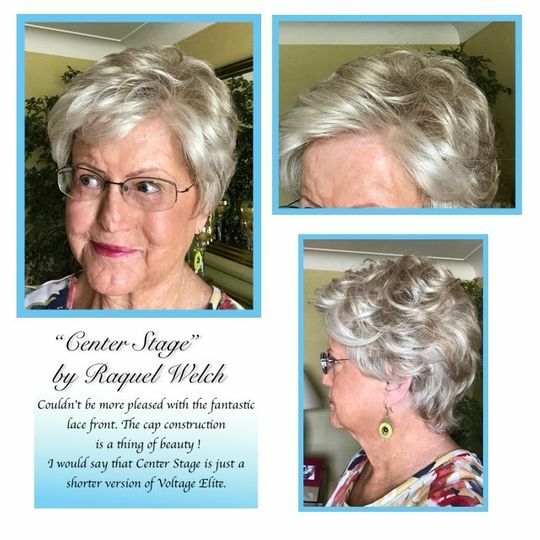 Center Stage by Raquel Welch is a short, light-weight cut with great volume and texture throughout. - Front: 3.75", Crown: 3.5", Sides: 2.75", Back: 2.75", Nape: 3.0"
Center Stage is a basic cut with soft curls all over and a slightly longer nape for excellent coverage. With a 100% fully hand-tied cap, monofilament top and lace front, no one will know it isn't your own hair! This wig is ultra lightweight, weighing less than 2 ounces. Center Stage is a HIT! I bought Center Stage because I wanted a longer nape than Sparkle Elite had due to colder weather. I LOVE Sparkle Elite in every way and the color Cinnabar is my favorite RW color, but needed some extra coverage for winter. Center Stage is very lightweight and the lace front is perfect, the color glazed hazelnut is fairly close to Cinnabar, a little less red. The wig fits well, I always sew clips into the sides and back because it gives me that extra level of security in case it gets windy. I love that the style stays, I wash my wigs regularly and all I have to do is shake them and hang them and they are back to that hair-I-aways-wanted style! I love Cysterwigs return policy! As a new wig wearer there are many "ooops" and wrong colors and it is so nice to be able to exchange them for another wig with no hassle. Your sales will always keep me coming back as well. Center Stage- I purchased it in my favorite Raquel Welch color of Glazed Vanilla and I have to say that her lace fronts are just divine. 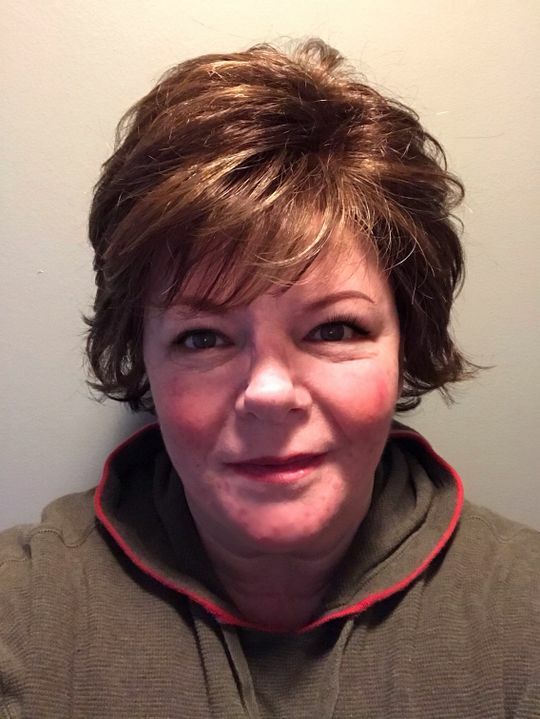 Because -the way that they blend the colors at the hairline, it is so natural and no one - even close up, I dare say- could tell the hair wasn’t growing out of my scalp. And in this style - like the Voltage Elite and many of her other lace front styles- I prefer the way the hairline fibers are sewn in so it’s natural that off-the-forehead look is easy and no problem with having that style stay in place. The cap construction is so comfy, I love it. Since I own the Voltage Elite, I will say that Center Stage is just a shorter version of Voltage Elite. I love both of them for their ease in styling and their comfort.